« When Will Universal Orlando Announce Their Fourth Park? Why is Fast & Furious: Supercharged A Dumpster Fire? 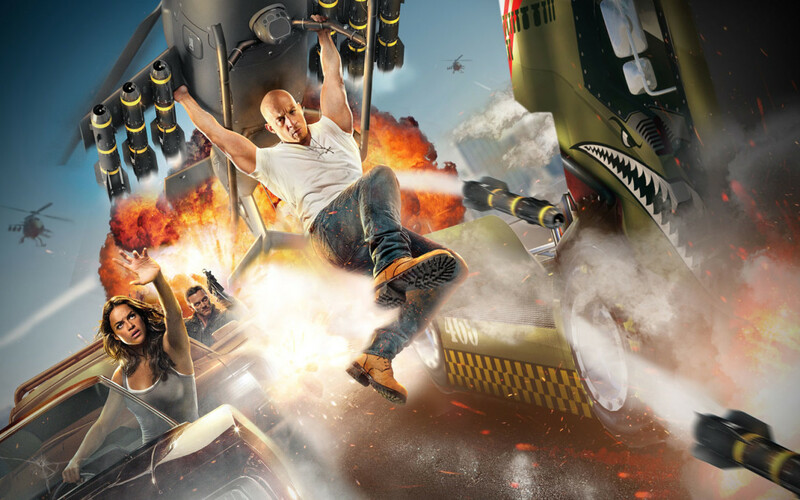 Now that Fast & Furious Supercharged has opened at Universal Studios Florida, the general consensus is in: it’s a dumpster fire. To be fair, this article is not about my personal opinion. Nor the opinion of other bloggers. If attraction designers had to design rides to appeal to bloggers who cover attractions, they’d pull their hair out. No, this article is about why the general public has already spoken and the majority of them do not care for Fast & Furious Supercharged. So let’s dig in here. What went wrong? First of all, it’s important to understand that the basic premise for designing new attractions for Universal Orlando might be broken. It has been a long-standing practice to take segments of Universal Studios Hollywood’s Studio Tram Tour and break them out in their own standalone attractions at Universal Orlando. Jaws, Kongfrontation, Earthquake, Skull Island, and even now with Fast & Furious Supercharged, these are all full-blown attraction versions of their west coast counterparts. Why does Universal do this? A few reasons. First, we know they work out in Hollywood as portions of the Studio Tram Tour. They drive business to the park and they get rated highly on surveys. However, no one is waiting in line for Jaws, Earthquake or Fast & Furious Supercharged individually at Univeral Studios Hollywood. You wait in one line and you see all those things, plus backlots, soundstages and so much more. So if the segments of the Studio Tram Tour work in Hollywood, why not make them the finale of their own big-budget stand-alone attractions in Florida? The research and development for at least some of the attraction is already done (small cost savings) and we know it works. Plus, the guest response on the tram tour is measurably positive, ergo it makes sense to design portions of the Studio Tram Tour to be used as finale sequences for stand-alone attractions at Universal Orlando and other Universal Parks, globally. On paper? Sure, that makes sense. But in reality, you have to weigh in a few things. First, how does this fit within the rest of the park? Is it family-friendly? What is the capacity? Does it have an IP that will drive ticket sales? What type of attraction is it and does that type of attraction provide balance with the rest of the park and even the Universal Orlando property? This last one is huge. I know the internet has said it for quite some time, but having a multitude of screen-based attractions in Universal Studios Florida has an impact on how guests perceive the park as a whole. When you now have: Despicable Me, Simpsons, Jimmy Fallon, Transformers, Shrek, Gringotts and now Fast & Furious Supercharged where the majority of the time guests are staring at a screen for the majority of their experience, it does make them wonder why they paid over $100 to go in when they can watch movies all day for much cheaper. The other problem is, these decisions were made years ago. I know that when the public sees that when Fast & Furious Supercharged opens that it seems like they just started working on this perhaps a year prior. However, the Fast & Furious addition to the Studio Tram Tour was designed with a standalone attraction at Universal Studios Florida years ago. Meaning the wheels were in motion before Skull Island: Reign of Kong or Jimmy Fallon opened their respective attractions. Even if you have fans of the Fast & Furious franchise who may love the ride, that is an hour out of their day. The rest are all seeing screen-based attractions. Not to mention, this isn’t a story that easy to understand or follow. Even if you are a fan of the movies. Basically what I’m saying is, even if you love the films, this ride doesn’t seem special compared to ever other screen-based attraction in the park. Don’t believe me? Read the reviews on TripAdvisor, Facebook (where it currently has a 2.1 out of 5 rating) or do what I do and hang out at the exit of a new attraction and listen to people’s reaction incognito. People you don’t know, from all walks of life, people who live in Orlando, tourists from outside of the country. Just like watching movie trailers in a theater. Turn around and people will give their gut reaction. What are people upset about? Well, they certainly don’t care for yet another screen-based attraction. They also don’t care for having the exact same ride system open so close to each other between Kong and Supercharged. You also have to take into account that the CGI used in the immersion tunnel sequence isn’t true to what it feels like to be in the film. The public is saying it feels more like a cartoon than a scene from a Fast & Furious film. In case you’re wondering: can this be fixed? Unfortunately not. Universal created a custom building with films using highly-paid actors and a ride system that within the current footprint, can’t do much more than it already is. Fast & Furious: Supercharged is a dumpster fire. Hopefully, Universal is listening to the feedback and making adjustments to attractions that are in the works over the next five years and making adjustments accordingly. Meanwhile, those of us who love the park are stuck with it. And frankly, a dumpster fire sounds more entertaining. Your thoughts? This entry was posted in Universal and tagged Fast & Furious, Fast & Furious Supercharged, Universal Orlando, Universal Studios Florida. Bookmark the permalink. Trackbacks are closed, but you can post a comment.